LOVE ROCKIN' RUBBER? Are you a LOVER of LATEX? We think we might be your kind of people. 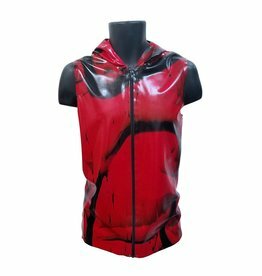 Fetish Factory stocks up on a variety of Men's Latex TOPS including FETISH & CLUBWEAR Shirts, Tanks, Corsets, Vests, Coats, Jackets & many other styles. Adorned with whatever your KINK desires. Feel GOOD and look TWICE as nice!